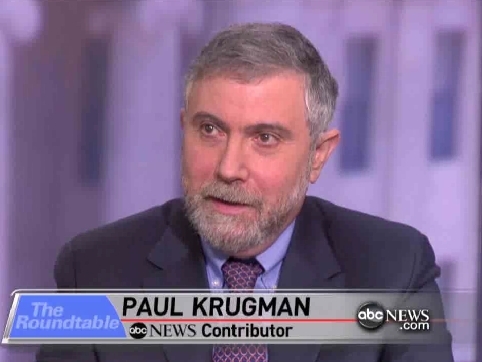 New York Times columnist Paul Krugman is angry the Senate hasn't once again extended unemployment benefits, and he's blaming "heartless, clueless and confused" Republicans. "There was a time when everyone took it for granted that unemployment insurance, which normally terminates after 26 weeks, would be extended in times of persistent joblessness. It was, most people agreed, the decent thing to do," the Nobel laureate wrote Monday. "Yet the Senate went home for the holiday weekend without extending benefits. How was that possible?" asked Krugman. Back in April, as ABC's Jake Tapper took over as interim host of This Week (pending the arrival of ex-CNNer Christiane Amanpour in August), the show asked the fact-checkers at PolitiFact to evaluate the truthfulness of statements made on the show. After nearly three months, the results show far more Democrats and liberals earning a "False" rating, with most of the "True" ratings going to Republicans and conservatives. The discrepency remains even if you take into account that about two-thirds of the evaluated statements came from Democrats in the first place. From April 11 through June 20, PolitiFact has handed out seven "False" statements -- six to Democrats/liberals, one to a Republican. During that same time, seven "True" labels were handed out -- four for Republicans/conservatives, just two for Democrats (one, ironically, going to former President Bill Clinton). Retired General Colin Powell also picked up a "True" for a statement about the number of troops President Obama has deployed to Afghanistan, but it's hard to say which side Powell represents these days. Did you know that calling attention to an area where a Supreme Court justice nominee is from, which happens to be a well-known bastion of liberalism, is bigoted? If you didn't, you want to take a look at the wisdom of Salon.com's Joan Walsh. In her June 28 post "It's not even coded bigotry anymore," Walsh argued that references to SCOTUS nominee Elena Kagan's Upper West Side of Manhattan roots are bigoted -since the neighborhood has Jewish features, references to it are anti-Semitic and as she puts it, "not even coded." "That said, Republicans on the Senate Judicial Committee are trying to make the case she's outside the mainstream of American jurisprudence, by attacking her clerking for (and admiring) legal giant Thurgood Marshall, the first African American Supreme Court justice, while singling her out as a denizen of ‘Manhattan's Upper West Side' - you know, the neighborhood known for Zabar's and bagels and, well, Jews," Walsh wrote. Walsh wasn't clear about what she thinks these Senate Republicans are trying to accomplish. Conventional wisdom suggests Kagan will be easily confirmed, but pointing out the neighborhood she is from, with documented evidence of having an ideological liberal leaning, is going to accomplish what? 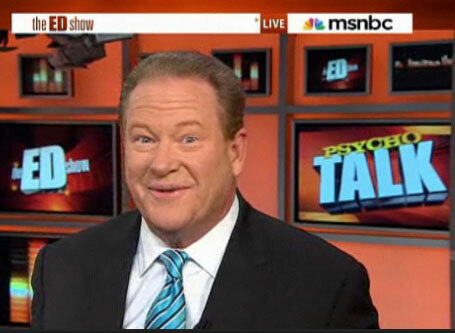 MSNBC host Ed Schultz is still in prairie-populist mode on illegal immigration. Unlike many on the left, he says it's a serious problem. 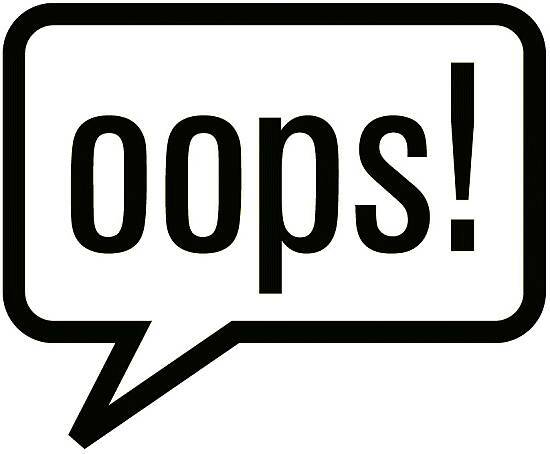 PBS's Jim Lehrer on Tuesday wrongly accused Republicans of always being against major social legislation in this country including the Civil Rights Act, Social Security, and Medicare. "[T]hrough history, recent history in particular, Republicans have opposed things like Social Security, Medicare, even civil rights legislation, but then, once they lost, they took some deep breaths and moved on, and then finally ended up embracing many of these major changes in -- in laws and in the way we do business here," the News Hour host amazingly said to his guest Sen. Jon Kyl (R-Ariz.). What is it about Republicans, lefty talker Ed Schultz complained to his radio listeners on Friday, that they can't "reach across the aisle" and give President Obama everything he wants? Schultz proceeded to demonstrate how his own reach falls short. Here's news the traditional media will work very hard to ignore. According to data released by Uncle Sam's Bureaus of Labor Statistics today, the unemployment rate in Illinois is the fifth-highest in the country. The Land of Lincoln had a seasonally adjusted unemployment rate of 7.3% in July, up 2.2% from the previous year's 5.1%. That puts Illinois, along with California, in a tie for fourth place in the worst state unemployment rate derby, behind only Michigan (8.5%), Mississippi (7.9%), and Rhode Island (7.7%). Illinois' 2.2% year-over-year unemployment rate increase is the third largest in any state, behind only tiny Rhode Island's 2.7% and smaller state Tennessee's 2.3%. Over 80% of Illinois' deterioration has occurred in the last three months, as its March unemployment rate was only 5.5%. With Eliot Spitzer gone, Chuck Schumer moves to the head of the list of smugly self-righteous New York pols. So it was particularly satisfying to see Sen. Jon Kyl [R-AZ] put Schumer is his place on This Week with George Stephanopoulos today. A guest with Kyl for purposes of discussing the economy, Schumer clearly came in with a game plan: to analogize President Bush to the man who presided over the beginning of the Great Depression: Herbert Hoover. After Schumer tried it twice, Kyl had had enough and unleashed a riposte as devastating as it was reasoned.